Lose the wire but not the signal! If data is to be transmitted to a moving, rotating or mobile device, Industrial Wireless solutions are the answer. They are also recommended for temporary installations. What already has been practiced in the home and office areas for years can now also be successfully used in the industrial area. By using industrial wireless components, you increase the availability of your system and establish increased productivity. Do you want to reduce installation, assembly and maintenance costs? Then convince yourself of our highly efficient communication solutions based on wireless signal transmission. … For a cyclic transmission of small data volumes of analog and digital signals in the technical processing environment as well as the controller technology. 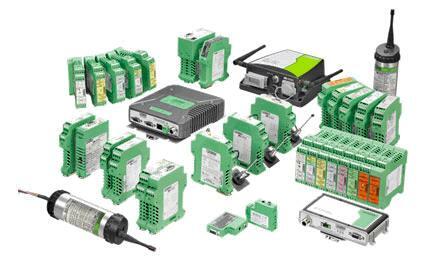 … For wireless communications via serial interfaces RS-232, RS-422 and RS-485 of the communications modules as well as the mobile system components. … For a transparent transmission of IP and Layer 2 Ethernet protocols, such as TCP/IP, Modbus TCP or Profinet via WLAN 802.11 and Bluetooth. …For remote access anywhere from all over the world via GSM, GPRS or dial-up. … To supplement our industrial wireless product spectrum in the indoor and outdoor area. Interested? Fill up the form below to find out more!